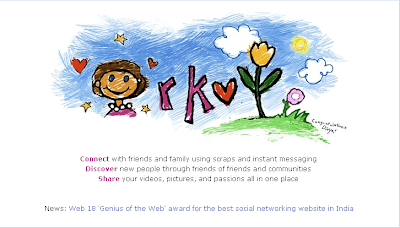 Orkut changed their login page logo to a very beutiful sketch depicting a face and nature along with the word ORKUT mingled with it. Here is a snapshot of the page. So much for the honour of our belove moms. Thank your orkut.